Sea freight has always been the dominant mode of transporting goods in Asia. Although transportation by air is faster, it costs more, hence it is not a preferred choice. As much as transporting via road is concerned, factors such as safety, time, and inconsistent costing by service providers have been affecting customers. 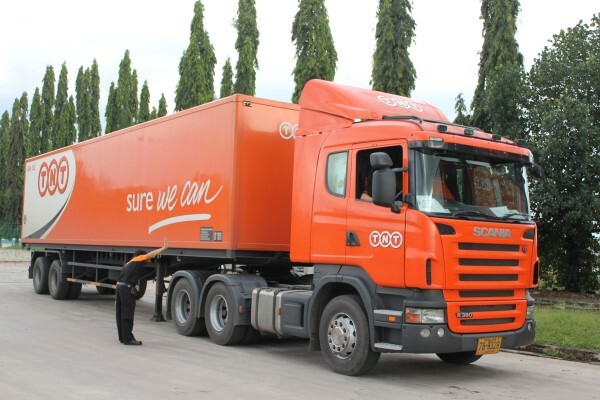 However, with TNT Express Malaysia’s Asia Road Network (ARN) integrated road delivery service, express delivery via road has become more efficient than ever before. With a road network that spans over 5,000 kilometers across 125 cities from Singapore to China, the ARN is the first solution of its kind on the continent. Usually, when a truck reaches the border, the container will be removed from the chassis and stored in a bonded facility before the content is transferred into another container, which will then be fitted on another truck that will take it to its final destination. This process will consume hours. TNT however, does things differently. Using only integrated containers, the prime movers from the cargo’s point of origin is swapped with the head from the destination, while the containers remain untouched. The good thing about this process is that it takes no more than 15 minutes. Another benefit of swapping prime movers instead of the container is that there is no need for a facility to store and monitor the containers. Targeting customers who require delivery of goods within a specific (usually short) period, the main difference between TNT’s ARN and other transportation service providers is that the former has a network of Inland Clearance Depots (ICDs), which enables TNT trucks to complete import and export formalities within its facilities at either the point of origin or the destination and not at a country’s border where everyone else has to complete their custom clearance. According to Dinesh Kanapathy, regional operations manager of TNT Asia Road Network, TNT has signed agreements with the customs departments of Singapore, Malaysia, Thailand, Cambodia, Myanmar, Laos, Vietnam, and China after years of negotiation, in order to be able to complete customs clearance at its ICDs in each country. Besides being cheaper than air freight, and faster than sea freight, ARN has other benefits as well, such as being able to offer a transparent all-inclusive pricing, and a safe journey. 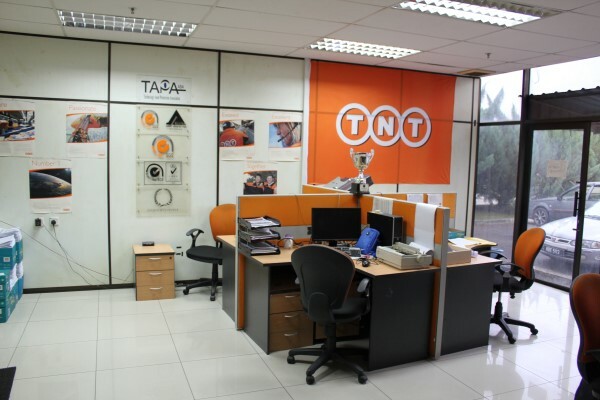 This is also why TNT is the choice of companies that manufacture fragile and sensitive goods such as pharmaceutical items and computer chips among others. “Our ultimate goal is to offer our customers peace of mind with benefits. Besides being transparent with them about the cost, we also prioritise safety. Our road network runs under strict security – monitored via GPS and controlled by our Security Command Control Centre in Singapore that operates 24-hours a day, seven days a week. “Our dedicated and experienced drivers are security trained and operate on a point-to-point schedule. Besides the pre-planned rest-stops, we do not even allow our drivers to stop for a toilet-break, unless they inform the control centre via the two-way voice communication system equipped in each of our trucks. That is how particular we are when it comes to managing a truck’s journey. “Above all, we are committed to Technology Asset Protection Association’s (TAPA) freight security requirements certification throughout its international delivery network. The TAPA FSR certification, an industry recognised standard, provides our customers with the confidence that we have the established freight security requirements in place to give you peace of mind.” said Dinesh. 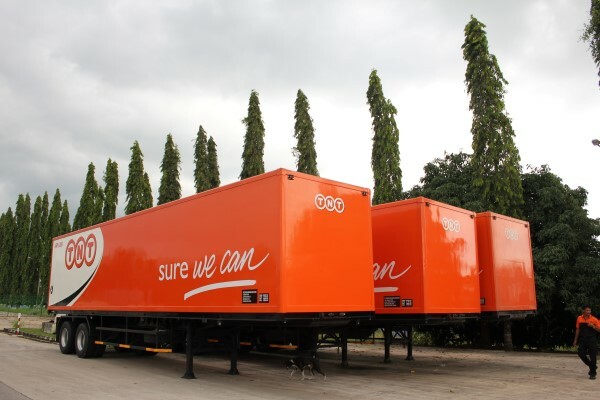 TNT’s fleet currently comprises 12 Scania R380 trucks and fourteen 41-foot trailers. According to TNT, the trucks were specially designed for TNT and tailored specifically for maximum efficiency on pan-Asian routes. Among the special features that have been fitted into TNT’s trucks are closed-circuit televisions (CCTVs) that are fitted both inside and outside the containers, and an electronic lock that can be engaged and disengaged from the control centre in Singapore in case of an emergency. The Scanias, which began operation in June 2010 as part of the new fleet, are among the first R-Series units to be assembled and sold in the region. It is said that these new trucks are not only 20 per cent more spacious than the previous batch, but also lighter than their predecessors by three tonnes. 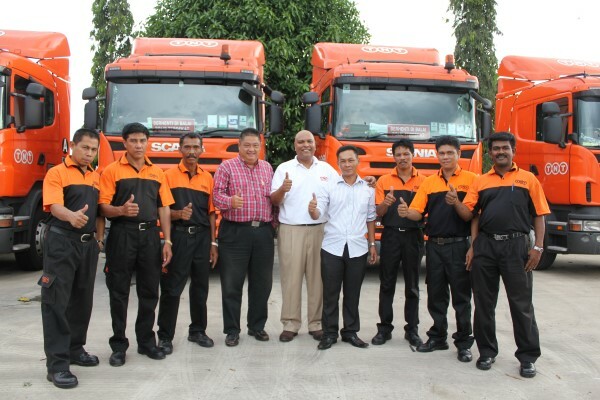 According to Dinesh, the trucks are serviced and maintained by Scania Malaysia Sdn Bhd. “Besides that, in most countries, the heads of the customs departments get replaced every two years. When this happens, we will have to meet them and keep them updated with the agreements we have. 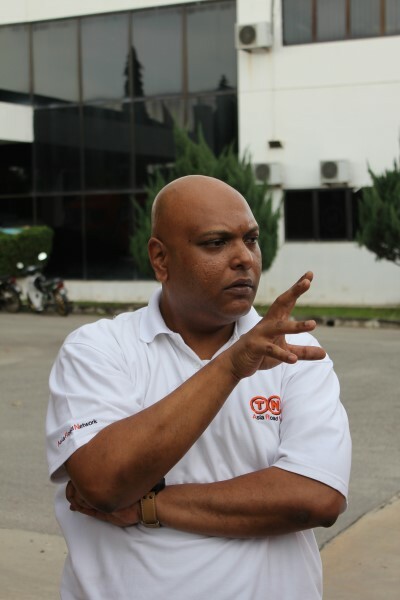 So, we are constantly on the move in order to ensure that the ARN continues providing our customers with the best services at all times,” said Dinesh. Speaking on future plans, Dinesh added that TNT is planning to extend the ARN network to Hong Kong very soon. Ford today announced the availability of the locally-assembled Transit full-sized van and a network of nine Commercial Vehicle (CV) Centres offering specialist sales and aftersales services as part of its strategic growth plan for Malaysia. 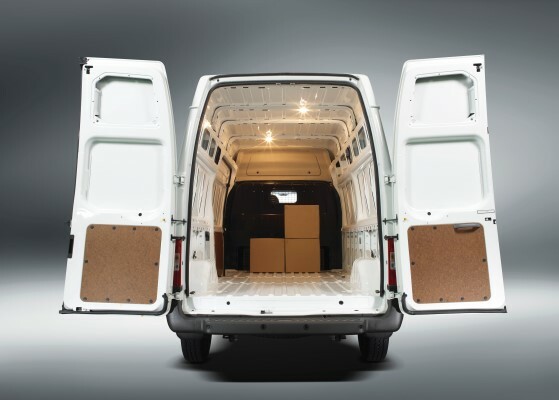 With over seven million units sold on six continents in 116 markets worldwide, the Ford Transit sets the benchmark for durability, reliability and quality. 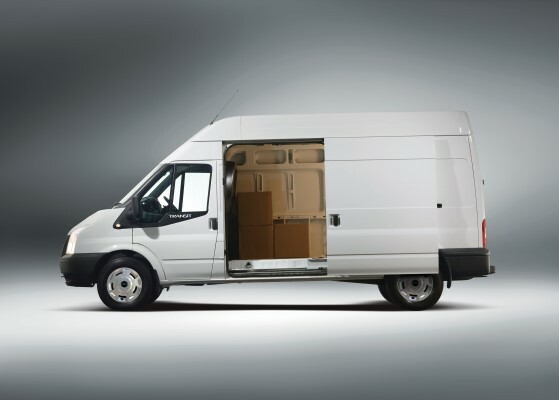 Engineered and purpose-built with one goal in mind – to help entrepreneurs and fleets stay productive and profitable – the Ford Transit delivers a best-in-class combination of fuel economy, power, cargo capacity and safety. “Millions of customers around the world have embraced the Transit because of its high quality, unrivalled toughness and value-for-money, and we’re so proud to bring this iconic Ford vehicle to the Malaysian market,” said David Westerman, managing director, Malaysia and Asia Pacific Emerging Markets, Ford Motor Company. Both Transit variants are powered by a Duratorq TDCi2 2.2L Variable Geometry (VG) Turbo diesel engine with the six-speed manual transmission (6-MT) – the same proven engine that drives the Ford Ranger. Delivering impressive performance of 155 PS of power and peak torque of 385 Nm, the powertrain also offers exceptional fuel consumption from as low as 8.91/100 km3. 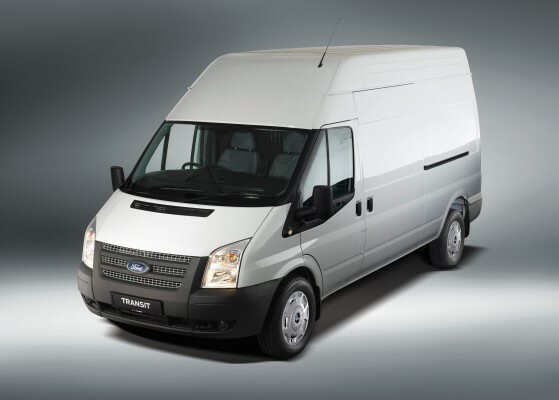 Complementing the Transit is a network of nine CV Centres located at existing, experienced Ford dealers, and featuring workshops that have been upgraded to meet a stringent set of global standards unique to Ford commercial vehicle centres. As well as being the exclusive sales points for the locally-assembled Transit full-sized vans in Malaysia, they will also extend aftersales support to all Ford fleet customers. “We’ve worked hard to understand the unique demands of our commercial and government fleet customers, and we know that for them, time is money. We’re confident that this specialist sales and service network will ensure their vehicles spend more time on the road and less in the workshop,” said Westerman. Each Ford CV Centre has a dedicated sales team and Ford-trained technicians offering specialised workshop equipment, tools and expertise to manage warranty, quick maintenance and light repair work as well as air conditioning services. Only Ford original equipment parts are used. Offering while-you-wait servicing and extended hours, they will also have the flexibility to provide priority treatment for all urgent work, minimising downtime by ensuring sufficient capacity and specialisation for commercial and government fleets. In the event of a breakdown, customers have access to the AutoConnexion Road Assist towing service which operates 24 hours a day, seven days a week. “As we move forward with class-leading products from Ford, we are committed to re-doubling our focus on providing the best possible customer service. These Ford CV Centres are a clear demonstration of our combined commitment and determination to offer a higher-level of overall ownership experience,” said Lee Eu San, managing director, Sime Darby Auto Connexion. “Capital Intertrade always strives to deliver the best in customer service and aftersales support. Becoming one of nine pioneer Ford CV Centres offers a brilliant opportunity to showcase Ford’s excellent line-up of commercial vehicles and further improve the level of care we show our customers,” said Yvonne Chai, managing director, Capital Intertrade. 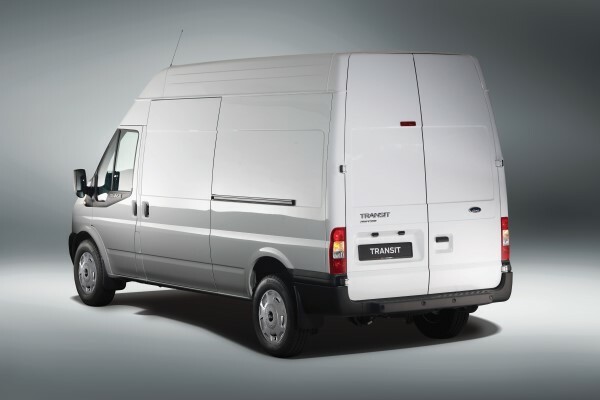 The locally-assembled Ford Transit features a Rear Wheel Drive system which allows for more even weight distribution compared to front wheel drive systems, resulting in better handling and traction. It also boasts outstanding payload capacity of 1,400 kg with ample cabin space to load more goods or provide more room for passengers. Electronic Stability Program (ESP) with Brake Traction Control System (TCS): available in the Window Van, ESP helps drivers remain in control of the car at all times, preventing understeering or oversteering especially on slippery roads. 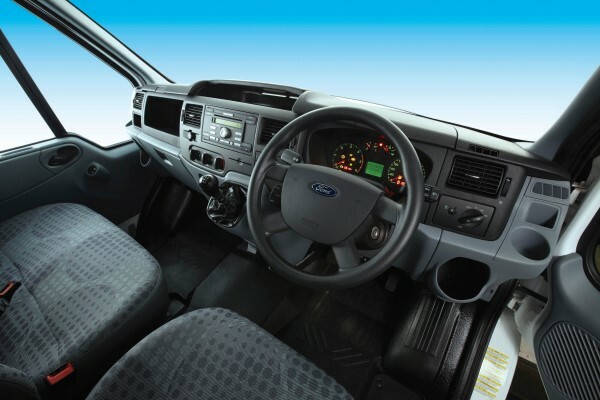 Remarkably versatile, durable and dependable, the Ford Transit can be adapted to multiple commercial business applications such as an ambulance, school bus, firefighter utility truck, mobile police station or travel coach. “Built Ford Tough, the Transit allows businesses to work smarter and we’re confident it will be embraced by both small businesses and larger fleets that are looking for versatility and value,” said Brion Gopigian, Regional Fleet Sales Manager, Malaysia and Asia Pacific Emerging Markets, Ford Motor Company. The Transit sees Ford enter another new vehicle segment in the thriving Malaysian market and build on its expanding vehicle line-up, which has driven the company’s best-ever first-half performance this year. Telematics is the next step forward in fleet management and Mix Telematics are zeroing in on the local and regional trucking sector to introduce the all-in-one fleet management system here that takes the current GPS-based method beyond its sole track-and-trace function to the next level. 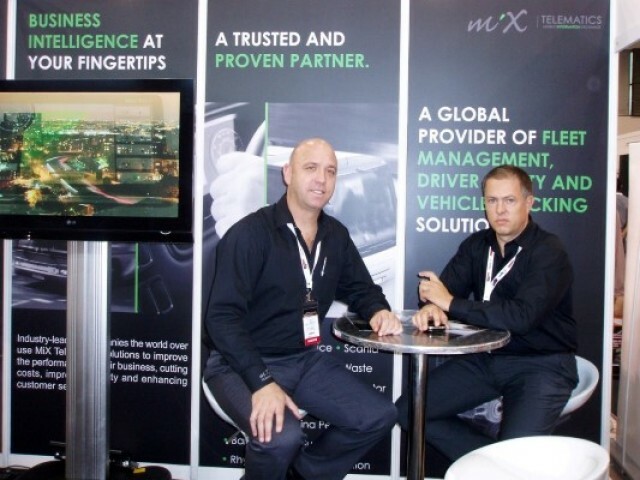 Mix Telematics has been operating since 1996 and they now have their sights set firmly on this part of the world. Their system is capable of serving a multitude of trucking fleets from transport logistics to oil & gas as well as busses and coaches. “The system is not a modular one with preset components to add on but rather a solution-based one that can be setup to meet the requirements of the fleet operator,” said Richard Burgess, Mix Telematics regional head of sales, Asia. The core component of the system though, just like every other one on the market, is a blackbox that contains the GPS for tracking and tracing the truck. All the data collected by the blackbox is sent via GPRS to one of four operation centres Mix Telematics has around the world. However, those four centres are currently on the other side of the world, in Johannesburg, Miami, London and Cape Town. Nonetheless, they are looking at setting up one to cater for their customers on this side of the planet if things fall into place. Acknowledging that the data acquired is essential in their customers’ business operations, it can be accessed via internet or phone. Furthermore, Mix Telematics can even compile the data and send it to their customers in hard or soft copy forms. The possibilities of the system’s monitoring parameters are endless. It can oversee and manage the temperature in refrigerated trucks, the movement of garbage disposal truck arms and even cargo door openings that would be handy in preventing unauthorised openings of the door except at the destination. 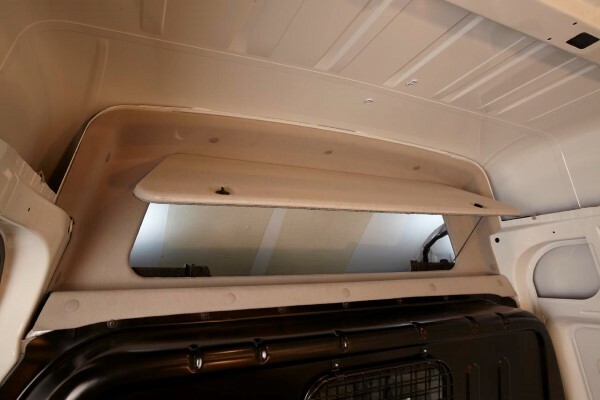 The cargo door opening monitor could work hand in hand with an axle weight monitor to prevent the driver from taking on unauthorised cargo along the way as well. Mix Telematics notes that the most important feature of the system though is to monitor driver behaviour that will lead to more efficient and organised management of routes and drivers. Factors such as engine revving, idling and braking are monitored in conjunction with seat belt usage and even a cabin-mounted camera. All the data collected is cardinal in changing the driver’s driving habits, if necessary. Mix Telematics can even prepare a report on each driver based on the data collected to assist their customers in briefing the driver to improve driving behaviour and instilling good driving ethics behind the wheel of the truck that will inadvertently translate into fuel savings. “By improving the driver’s driving behaviour and characteristics, they can save anywhere from five to 15 per cent in fuel. The average fuel savings we have seen is approximately 10 per cent,” said Burgess. Over the long run, the system can also help to identify safe drivers, something of extreme importance to bus and coach operators as the lives of the people they ferry are in the hands of the drivers. “Fuel savings of 10 per cent might not seem like much but many of the logistic operators here work around a 10 per cent profit margin each year. Therefore, the 10 per cent in fuel savings obtained through telematics could be the difference between a loss or a profit for that year,” added Burgess. The presence of a number of major oil & gas firms in Malaysia has lead to a highly competitive logistics sector in the country and Mix Telematics are keen to capitalise on that. One of the biggest hurdles they will need to overcome is the dependence on GPS-based systems that most of the fleet operators here are currently utilising. 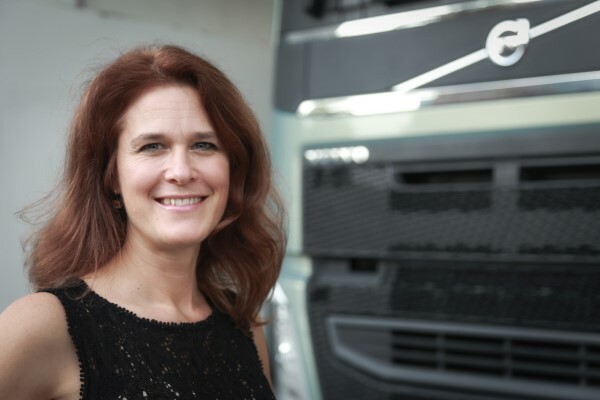 Nonetheless, Burgess is confident that the highly competitive nature of the sector here will fleet operators turning to telematics as the need to squeeze every last ounce of efficiency possible will become more cardinal, and that is something telematics is capable of delivering. With a firm mindset to expand in the region, Mix Telematics are actively working on engaging a local partner to further widen their network here. They are also looking at roping in new clients in the country and region as well. For more information, you can contact Burgess of Mix Telematics at richard.burgess@mixtelematics.com or visit their website at www.mixtelematics.com. Beltran Yturriaga, Managing Director, Michelin Malaysia Sdn Bhd. Tyre manufacturer supremo, Michelin showcases its latest innovation in the Asian market through their new coach tyre the Michelin X Coach Energy Z. The French based company illustrated that their new tyre was especially designed for comfort and safety of coach passengers. By using the latest in tyre development technology, Michelin was able to create a tyre which is robust and resistant to road hazard damages. Thanks to its innovative energy casing design, the tyre also promises to help operators to reduce downtime and costs through better fuel efficiency, without compromising tyre life and durability. “When designing Michelin X Coach Energy Z, the main concern for us was how we could address the current needs of coach operators. This is important because when transporting people, safety cannot be compromised. The X Coach energy Z is al able to offer all of this with fuel savings, reduced downtime and a hugh tyre mileage. 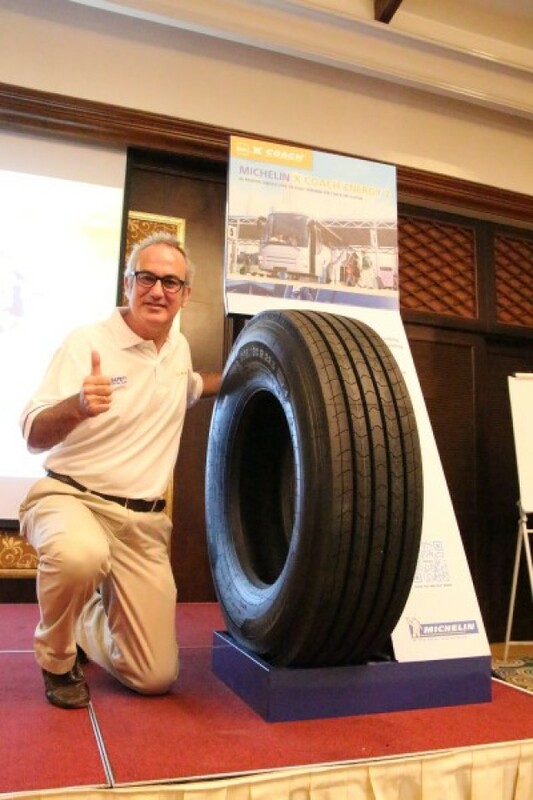 The combined performance is evidence of Michelin’s goal of total performance in tyres which endures customer and their passenger’s satisfaction” said Beltran Yturriaga, Managing Director, Michelin Malaysia Sdn Bhd. At the launch, Michelin mentioned that improvement in resistance to its crown has been increased by 20 per cent compared to previous models. This translates into 20 per cent less tyre failure and related downtime, which include extreme accidents due to mishaps from crown area impact and failure. The improvement in casing durability through reinforced bead and crown areas has also increased the ratio of retreadibilty of the X Coach Energy Z casing, which also helps operators to reduce costs through long lasting usage. Not only is the X Coach energy Z durable and long lasting, it is also fuel efficient as the new casing and tread design lowers rolling resistance to improve fuel efficiency up by 10 percent compared to standard radial tyre. Reducing rolling resistance is another key performance characteristic of Michelin tyres which allows users to save fuel and reduce the environmental impact of their vehicles and operations. Michelin X Coach Energy Z all position tubeless tyres will be available in 295/80R22.5 size from May 2014. Brand loyalty is an important aspect in business that is often overlooked yet is a key factor in ensuring that the customer turns to the same brand again for their future needs. This is all the more pertinent in the ever-evolving truck industry that sees fleet operators constantly on their toes to keep their trucks in top condition for the road or even upgrading to newer models to meet the requirements of their clients. 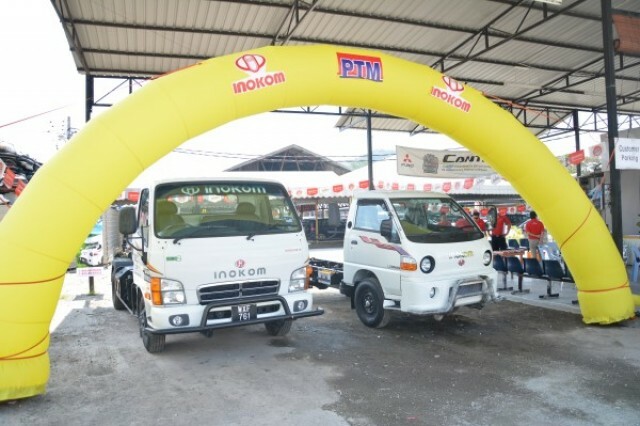 With that in mind, long-time Inokom truck dealer PTM Automotive had their inaugural Inokom Customer’s Day on 7 and 8 May 2014 to show their appreciation to their Inokom customers with great servicing deals and even discounts on new models. Over those two days, current Inokom truck owners that came in for scheduled maintenance or servicing were entitled to a free 20-point inspection check, free greasing points and free gifts. PTM Automotive also offered discounts on parts and labour fees. New customers looking to purchase an Inokom truck were in for a good deal as well, with an RM2,000 discount on the truck and a further RM3,000 rebate on the body. Inokom trucks purchased during the two day period were also up for an extended warranty of one-plus-one year or 50,000km. The rebate on bodies stands until the end of June 2014. 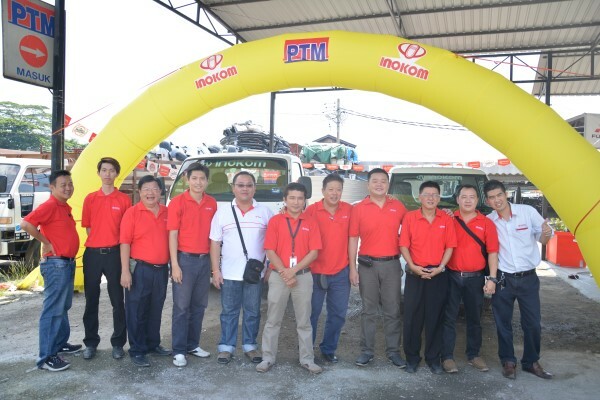 “The Inokom AU26 is the best seller as it meets the needs of a wide variety of traders or small businesses,” said Danny Soo of PTM Automotive, who has been an authorised Inokom dealer for 14 years. “There are currently 15,000 units of Inokom trucks on the road and we usually sell about 10 units a month of the AU26 and larger AD3. In fact, the AU26 is the best-seller in its segment in South Korea,” he added. PTM Automotive operates a breakdown truck to response to customers that encounter a breakdown with their Inokom trucks. The service is operational 24/7 and has proven to be a major convenience for their customers. “The AU26’ popularity is based on its versatility as it can function as a mobile kiosk, pasar malam shop, market traders and even as transportation for small businesses,” said Soo. PTM Automotive is located at Lot 6015, Batu 7 ½, Jalan Rawang, 68100, Batu Caves, Selangor. As part of its 2014 global promotion, Shell Rimula has kicked off its Technology Lab roadshow in Sarawak and Sabah, which will be making stops at eight different locations from May 10 to June 22. In Sarawak, the roadshow was at KTS Crown Tower in Kuching on May 10 and at Delta Mall, Sibu on May 13; Park City Mall, Bintulu on May 15 and E-Mart Supermarket, Bandar Baru Permy Jaya, Miri on May 17. Meanwhile, in Sabah it will be at Giant Supermarket at Mile 5, Jalan Labuk, Sandakan on June 6, Teck Guan Sdn Bhd, Taman Seri Perdana, Jalan Silam, Lahad Datu on June 8, Giant Supermarket at Jalan Apas, Tawau on June 14 and Sutera Harbour in Kota Kinabalu on June 22, all from 10.00am to 2.00pm. The Shell Rimula Technology Lab aims to demonstrate the technology behind Shell Rimula and the benefits of synthetic lubricants in a fun and experiential way using special demonstration tool kits, digital applications, games and videos. According to Shell Lubricants marketing manager Alex Lim, the combination of technology leadership, innovative products that deliver tangible benefits and strong ground-level interaction that demonstrated empathy with customers have strengthened Shell Rimula’s market leadership position globally and also in Malaysia. “We have a specially designed product and business solutions offering called “Driveline” that comprises a complete portfolio of technologically superior products to protect every driveline component against wear, acids and deposits: Shell Rimula heavy-duty diesel engine oils; Shell Spirax transmission, axle and gear oils; and Shell Gadus greases,” he said. 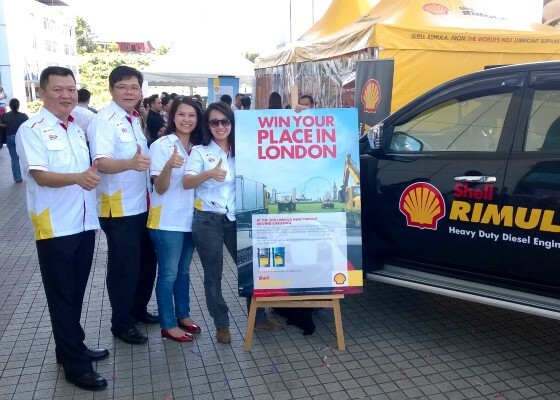 The Shell Rimula global promotion this year also offers customers from around the world the opportunity to come together to compete in the 2014 Shell Rimula Heavyweight Driving Challenge as part of an exclusive VIP trip to London, England. The contest which is running from April 1 till June 30 is open to all customers who purchase a drum or pail of Shell Rimula R4, R5 or R6 heavy-duty diesel engine oil.ers and offer them the most advanced lubricant products available in the world for all heavy-duty vehicles. For more information on the latest Shell Rimula products and global promotion, please go to www.shell.com.my/rimula-heavyweight-challenge. Scania Credit (Malaysia) Sdn Bhd (SCMY) has signed on Konsortium E-Mutiara Bhd as the first customer for its new insurance service that is part of its proposition to offer tailored packaged financial solutions. The introduction of the insurance service further enhances the range of products and services offered by Scania in Malaysia to provide total solutions for the best profitability for Malaysian express bus and truck operators. It is said that Konsortium E-Mutiara Bhd bought a policy each for two of its K 410 EB 6×2 buses. 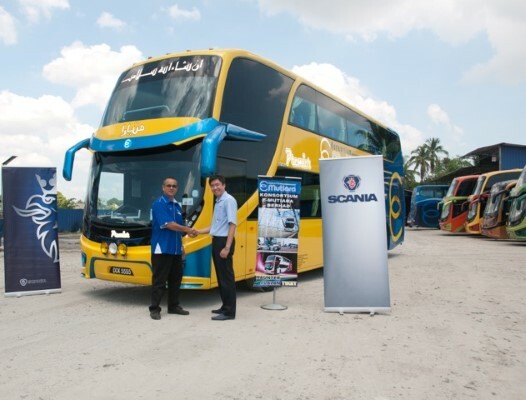 “It makes perfect sense for Scania to offer insurance services because we speak the same language as our customers, understand the risks and challenges of running commercial vehicles and are able to recommend the right insurance cover for them to take their business even further,” said Scania Credit Malaysia’s Manager Milan Yang in Kota Bharu last month. “We have been using Scania buses since 1997 and with Scania’s repair and maintenance contract, financing from Scania Credit and coverage from the insurance operations we are benefiting from its one-stop solution that will free us from all our operational problems” said Chairman of Konsortium E-Mutiara Bhd, Che Ibrahim Che Ismail. 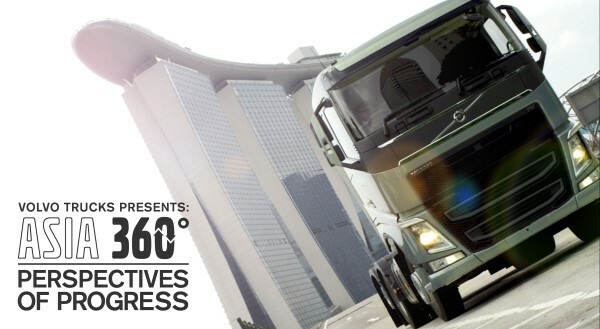 Volvo Trucks, one of the world’s leading producers of heavy trucks, partners the National Geographic Channel to roll out their Asia 360° campaign today. In the lead up to the Asia launch of their new truck range in May, Volvo Trucks shines the spotlight on various perspectives of progress, and embarks on a virtual journey from Singapore to South Korea. Users can follow through a dedicated microsite, www.perspectivesofprogress.com, which features the stories of three inspiring personalities, as well as a collection of stunning 360° panoramic shots of some of Asia’s most exciting locations – mapping out diverse perspectives of progress. The new Volvo truck range is specifically designed to meet the needs of customers and their business challenges with improved technology. Set to redefine standards in transportation, the new range features the Volvo FH as their flagship product model, which has been awarded International Truck of the Year 2014 and also won a prestigious red dot as well as If award for its product design. “Globally, we are recognized as an innovative brand, which is also reflected in our communication measures. With the Asia 360° campaign, we want to open new views. We want to inspire people, make them see how we all can drive progress and shape our tomorrow,” shares Mats Nilsson, Managing Director, Volvo Malaysia. Just nine months after the official ground-breaking ceremony, Hino Motors Manufacturing (Malaysia) Sdn Bhd (HMMMY) has rolled out the first HINO vehicle manufactured at its new plant in Negeri Sembilan. The vehicle was an award-winning HINO 300 Series light commercial vehicle which is also a best-seller in Malaysia. It was unveiled by HMMMY Managing Director Ikuo Shibano and guest-of-honour, Datuk Takashi Hibi, Deputy Chairman of UMW Toyota Motor Sdn Bhd, at a simple line-off ceremony witnessed by guests and employees. The state-of-the-art RM140 million facility located on a 170,000 square-metre site in Sendayan TechValley is Hino Motors Ltd’s first manufacturing plant in Malaysia and reflects the importance of the Malaysian market as the third pillar of Hino’s operations in Southeast Asia. With an annual production capacity of approximately 10,000 units, it manufactures the full range of HINO products comprising light, medium and heavy duty trucks; and buses for the Malaysian market. According to Mr Shibano, the commissioning of the plant was crucial to Hino Motors’ plans and ambitions as the company now has full control of product supply and the flexibility to respond to growing market demand and shorten the delivery lead time to Malaysian customers. HINO products were previously assembled by Assembly Services Sdn Bhd, the production unit of UMW Toyota Motor. “HINO was the best-selling commercial vehicle brand in Malaysia for the fourth consecutive year in 2013 and we look forward to working hand-in-hand with our colleagues in Hino Motors Sales (Malaysia) Sdn Bhd to strengthen our market leadership position for many years to come,” he said. With employee safety a top priority, the plant is equipped with innovative safety features such as separate static and dynamic inspection areas and special viewing platform for visitors. HMMMY is a 58:42 joint venture between Hino Motors Ltd, Japan’s leading brand in trucks and buses, and its long-time partner in Malaysia, MBM Resources Berhad (MBMR). 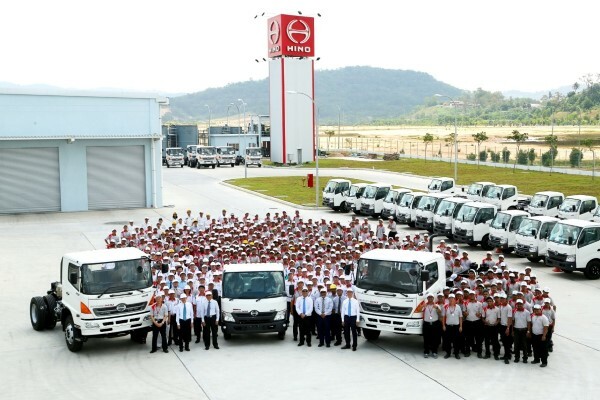 Since 2010, HINO has been the market leader in the overall commercial vehicle segment (4,500 kg and above) in Malaysia. HINO’s main competitive edge has been its ability to offer a complete range of commercial vehicles ranging from four-wheel light commercial vehicles (LCV, HINO 300 Series), medium-heavy commercial vehicles (MCV, HINO 500 Series), prime movers (HINO 700 Series) to buses that are renowned for their quality, durability and reliability. 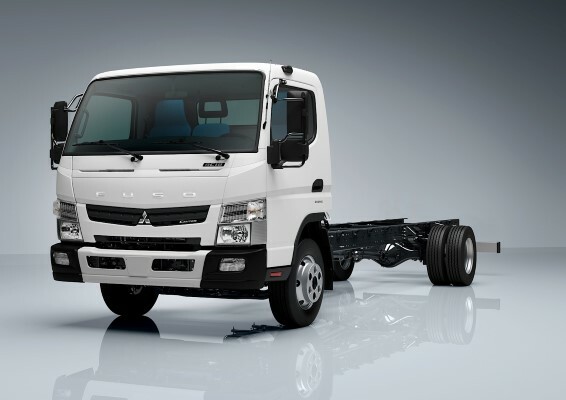 For each model, Hino is also able to offer different chassis variants to suit different purposes. 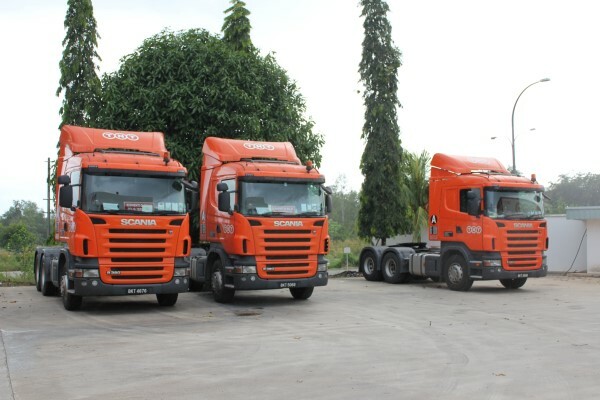 HINO products are also some of the most technologically advanced in the Malaysian market. 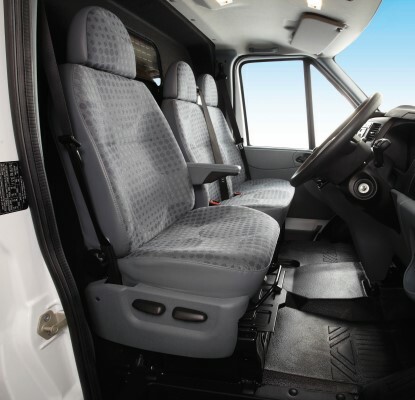 It is the first commercial vehicle brand to offer an automatic transmission and six-seater crew cabin option for its six-wheel LCV. HINO 300 and 500 Series vehicles were also winners at the 2013 New Straits Times-Shell Rimula Truck of the Year Awards. Daimler Truck’s most popular truck ‘Canter’ is opening up a new dimension. Mitsubishi Fuso Truck and Bus Corporation (MFTBC), one of Asia’s leading commercial vehicle manufacturers, today announced it has developed a new GVW 8.55-ton medium-duty truck, based on the existing Canter light-duty technical platform, now underway with its global rollout. The newly developed Canter 8.55-ton medium-duty truck with a payload of up to 6 tons is making its way in more than 40 countries around the globe. For the European market, the new medium-duty truck is now in production at MFTBC’s Tramagal, Portugal, plant now celebrating its 50th anniversary this year. The newly developed Canter medium-duty truck with a permissible gross vehicle weight of 8.55 tons allows for a class-topping chassis payload of up to 6 tons, and as such offers customers largest payload capacity available in the market in its weight class. The features of the Canter medium-duty truck is the very embodiment of the compact truck and features a high degree of maneuverability. 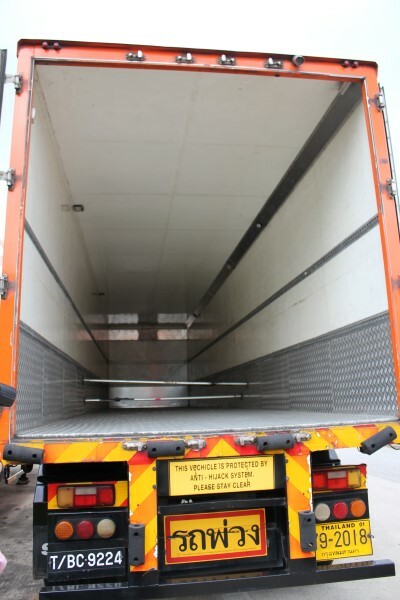 Complete with a smart design and as efficient as ever, the Canter truck is at your service. Key innovations include DUONIC®, the world’s first dual-clutch automatic transmission for commercial trucks. An optimized powertrain sharply reduces fuel consumption while guaranteeing an even safer, smoother drive. The bottom line – the Canter truck offers greater efficiency and a smoother ride at every turn.